NRG PT is a certified FACT Test Centre and we use the FACT lactate test to determine your individual heart rate and power zones. The FACT test determines the heart rate at the point just before you start to steadily accumulate lactate, this is the Lactate Balance Point. Your lactate balance point heart rate is used to set up your training zones and the corresponding speed/power is an indictor of your current fitness level. 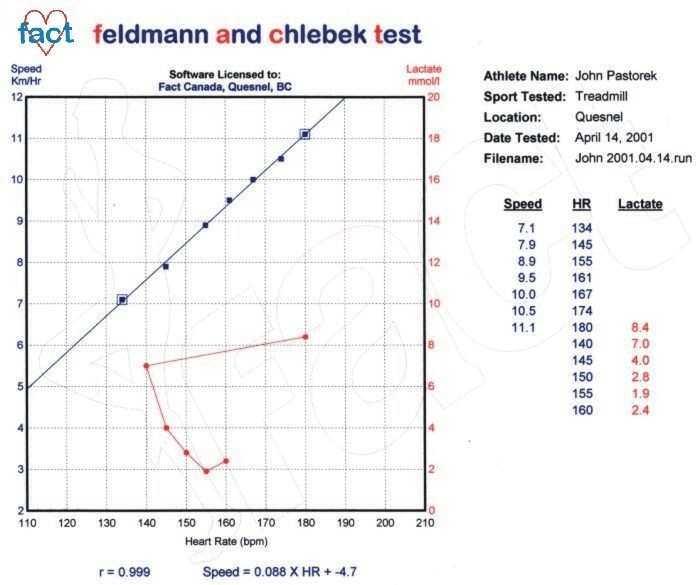 With appropriate training, your lactate balance point heart rate and speed/power will change over time and needs to be periodically checked and re-evaluated. This will ensure that you are training and racing at the optimal heart rates, power levels or speeds. This evaluation and re-evaluation in-turn ensures that your performance continues to improve.